Beats sparkle like light on water. Fiddles roar like tipsy partygoers, crying out that mysterious Magyar mood of “bitter revelry.” Pop finesse flows through perfectly executed polyglot songs. The wild variety is what Hungary is all about, boasting a music scene with a centuries-long pedigree, a history of fantastic folk and trained musicianship, and a location where East meets Western Europe. SXSW 2018 will see the first official Hungary showcase, supported by Music Export Budapest. To represent the country’s broad palette of sounds, these four groups highlight the best of Hungary’s many worlds, from chic cosmopolitan singer-songwriter to upbeat club music to wild and crazy freak folk. Belau: Belau’s buoyant beats chronicles the audio-visual duo’s many travels. 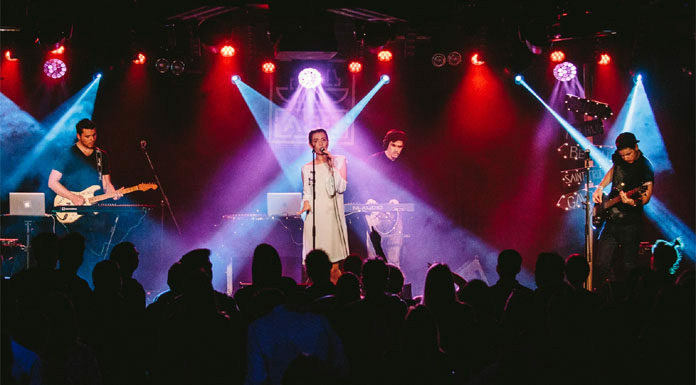 Optimistic and exploratory, Belau have performed at key European festivals like Reeperbahn and are debuting in the US at SXSW. Boggie: With all the warm grace of Patricia Kaas and the intensity of Adele, Boggie writes and sings in French, English, and Hungarian, drawing on the best song traditions of all three. After her debut album reached #3 on the US Billboard chart in 2013, she performed across Europe and North America, represented Hungary at the Eurovision Contest, and shared the stage with luminaries like Placido Domingo. The Qualitons: Soul with a Hungarian heartbeat. Rackajam: A wildly popular Magyar remix of urban folk, rock, and blues.